These six photos tell the story of Cambridge’s Central Square through its scenery and through the people who keep the social and artistic hub humming. 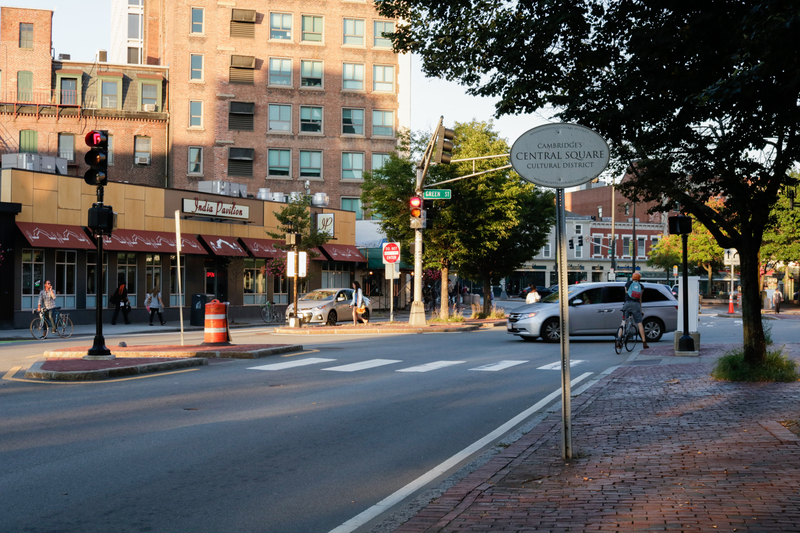 This sign welcomes visitors to Cambridge’s Central Square. 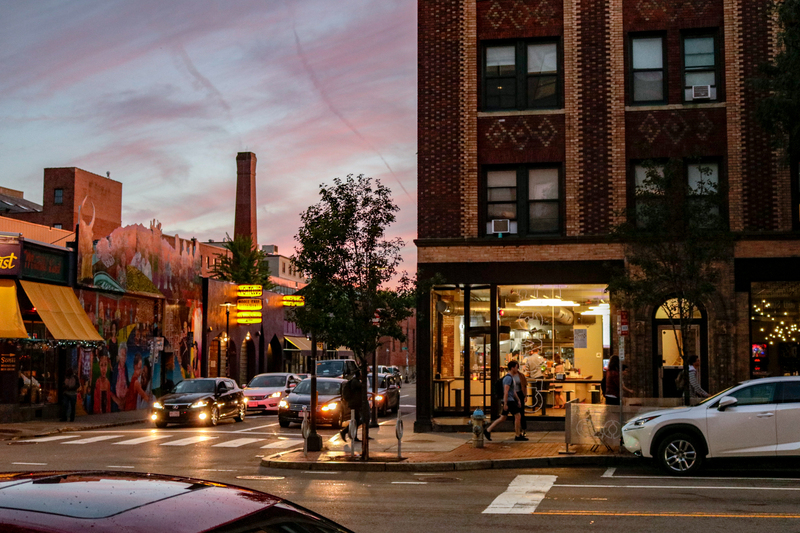 The area features local restaurants, music venues, bookstores and more, serving as both a meeting ground for members of the community and a prime tourist destination. 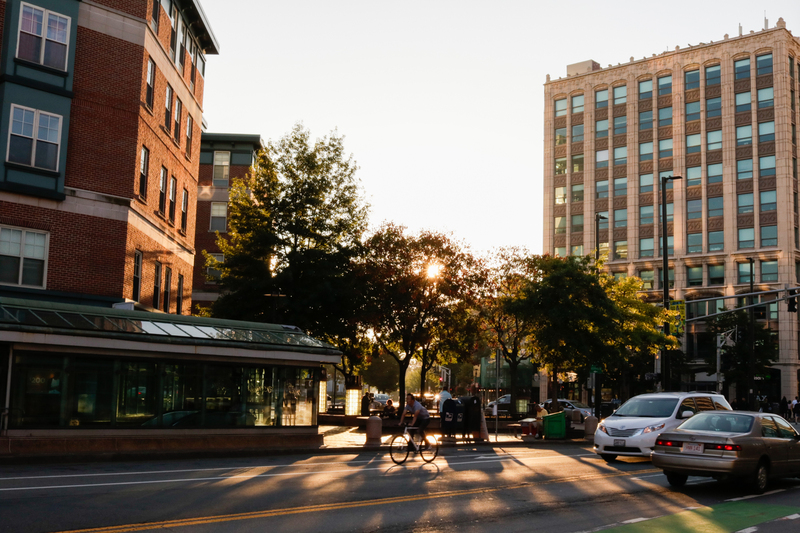 The sun begins to set behind the trees of the Carl F. Barron Plaza, located at the corner of Massachusetts Avenue and Pleasant Street in Cambridge. Many people gather here to catch the MBTA bus or subway, both accessible at this street corner. 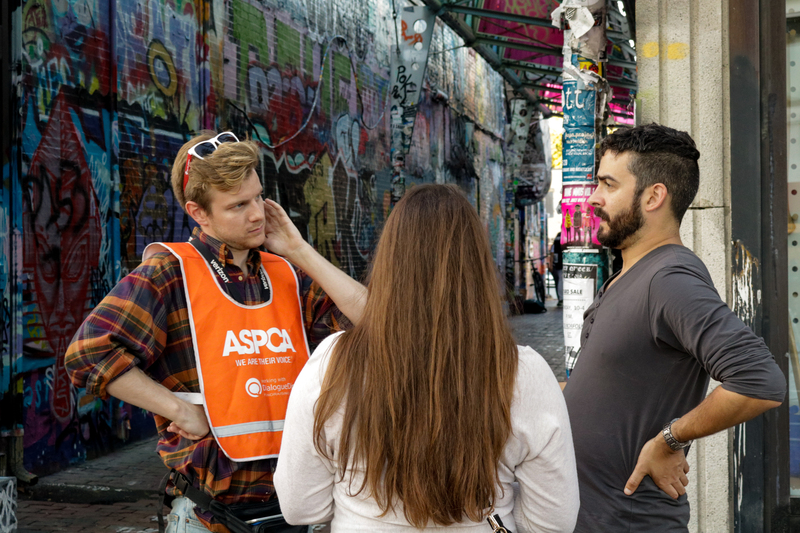 ASPCA Representative Jay Lancaster (left) discusses animal rights issues with Jason (right) and Ashley Margaca in front of Richard B. “Rico” Modica Way. Lancaster has roamed the streets of Cambridge for ASPCA for four years. He draws the attention of passersby with the question, “Cats or dogs?” before ultimately asking for donations. As the sun sets and many businesses in Central Square close, Clover remains open. 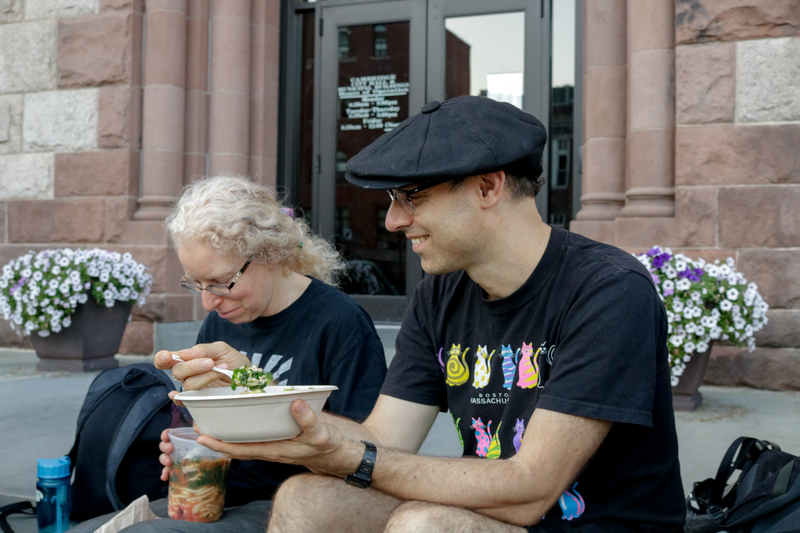 Clover was founded in 2008 and now provides the Greater Boston Area with locally sourced, environmentally conscious vegetarian food 24 hours every day from 12 locations. 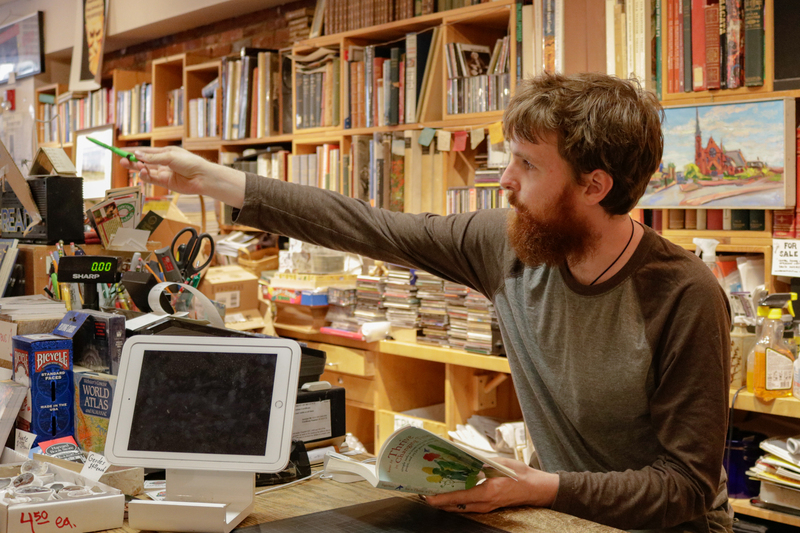 “As a vegetarian and an environmental science major, I was drawn to [Clover’s] commitment to serving vegetarian food in an eco-conscious manner,” employee Connor Farnham said.